Even a snow gal wants to get away from cold weather once in a while! 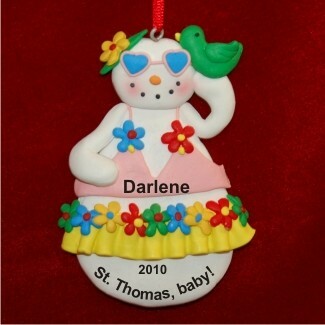 The winter holiday snowlady personalized Christmas ornament is a delightful way to remember that awesome trip or to look forward to one you'll be taking after the holidays. Each of these travel & beach ornaments is crafted and painted by hand to show artistic details that are different from all the others. We'll add the custom cheer by hand lettering the information you provide onto the winter holiday snowlady Christmas ornament personalized for added pleasure. 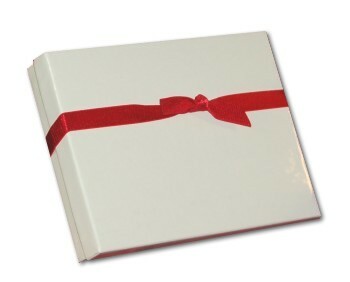 As a bonus, it arrives in our plush and pretty velvet pouch. Snowbird Christmas Dec 17, 2014 Margo B.